During uncertain times, installers should be looking for new opportunities to grow their business. The global population has grown from 1 billion in 1800 to 7 billion in 2012; this growth is causing a rise in small businesses needed to service the growing population. As a result, the need for more doctors’ surgeries, convenience stores and large family homes could provide interesting light commercial opportunities for installers. Installers can be deterred from light commercial work as it can be perceived as more complicated than the domestic installations they have become accustomed to. 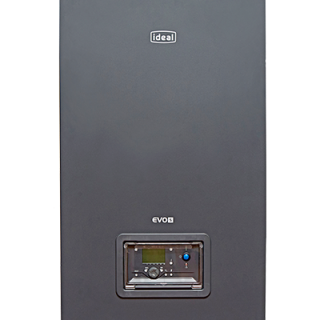 But in fact, commercial boilers can be no more complicated than their domestic counterparts. The application might be slightly different but with some training and research what seems like a mountain could actually be less than a molehill. If an installation has a total output under 70kW, the gas system has a gas volume less than 0.035m3 and pipework less than or equal to 35mm, domestic installers can carry out light commercial installations in their Domestic Gas Safe Registration. Don’t be put off by not having Commercial Gas Safe Registration, just ensure you are working within the parameters stated. The key to making a successful move from domestic to commercial is to do some research. Have a look at the different products out there and familiarise yourself with warranties and after-sales support as these can differ from domestic boilers. Once you have decided on your boiler choice have a look at the training available for that product. 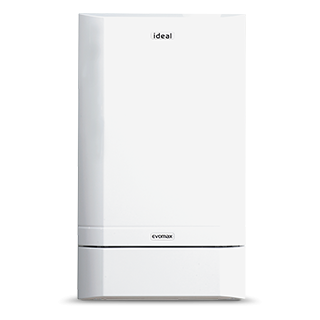 Ideal Commercial Boilers offers free training courses on its models suitable for light commercial applications at locations across the country: click here to book onto a course. Learning about the boilers and how to install them is key to making the most of light commercial opportunities. Some installers comfortable with domestic boilers may look to use multiple domestic boilers in a light commercial setting to achieve the required power output. While this may be perceived as a slightly cheaper option on unit price, it could be a short cut to future problems. Domestic boilers are not the best solution for cascade or multiple boiler installations and doing so may reduce their lifespan. What may be less expensive initially may end up costing your customer more in repairs and early replacements, which in turn could prove costly to your reputation. Making sure you have enough space for a commercial boiler is key. Some commercial boilers may have larger dimensions and with some light commercial applications, space is at a premium. Then there is the consideration for the other equipment that may be necessary. Commercial boilers do not have an expansion vessel built into them, so you may need to allow space to include an expansion vessel(s) as part of the overall system. Additionally, if you need to use more than one boiler, a frame and header kit could be used to mount the boilers giving a reduced installation time. The flue is a further aspect that is worth considering. If a boiler is to be installed in commercial premises, it has to meet the commercial requirements of IGE UP10 and BS6644 must be adopted, even if the total power output is under 70kW. While this may appear to add to the complexity of the installation, there are training courses available that will help you understand the requirements. For a domestic business, branching out into light commercial projects can provide an income boost amidst economic challenges. By arming yourself with knowledge of all the nuances between domestic and light commercial buildings, as well as the products available, you could look to create a steady flow of work throughout the year. This article first appeared in PHAM News, October 2018.